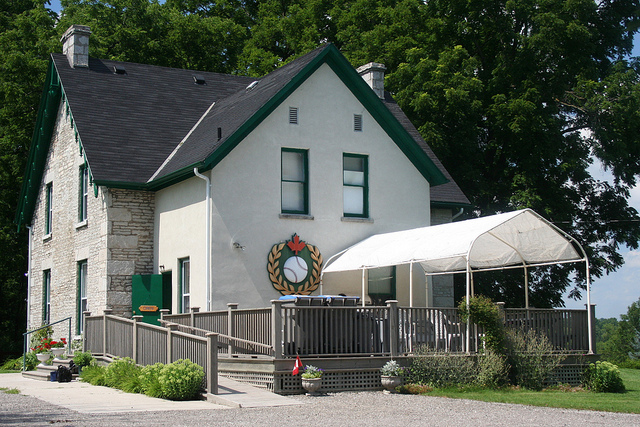 The Canadian Baseball Hall of Fame in St. Marys. Photo by Flickr user Robert Taylor. Used with a Creative Commons licence. Jays fans are sharing stories about Halladay’s years in Toronto after he was named as an iductee into Cooperstown this week. Scott Crawford of the Canadian Baseball Hall of Fame in St. Marys says Halladay’s determination from the start laid the foundation for his career. And one of the stastically highlights for Crawford about Halladay, his complete games. You can listen to the entire interview with Scott Crawford on MWO Sports by clicking here. Halladay was inducted into the CBHF in June of 2017 and he will be inducted into Cooperstown posthumously in July.